Ce document au format PDF 1.3 a été généré par Microsoft® Office Word 2007 / Mac OS X 10.6.8 Quartz PDFContext, et a été envoyé sur fichier-pdf.fr le 26/12/2012 à 20:07, depuis l'adresse IP 94.202.x.x. La présente page de téléchargement du fichier a été vue 1364 fois. thinking has allowed us to evolve into a successful, multi -­‐ disciplinary agency that specializes in various areas. design, furniture solutions and more. Our sales department is the foundation of Property Shop Investment. highest level of confidentiality for the clients' information and needs . add more members to our team. , to optimize your benefits. witnessed a major change in the rent rates over the past years. ,Raha &amp; Golf Gardens, Al Reef , Khalifa A and inside Abu Dhabi. and retail; whether a single property, building or a company. marketing your property and refurbishments. transferring them to your account. reasons to choose Property Shop Investment. ,landscaping , property security and maintenance services. Empower our human assets by investing in their growth and development. strategy provides optimal exposure in order to assist you in achieving your real estate goals and objectives. crossroads in which they can interact in a professional, flexible mutually beneficial manner. representation, you will be able to secure the best possible price in any service you require. expertise has compiled all the needed information from investment indications to finance calculators. another reason to choose PSI as your only destination for your real estate requirements in Abu Dhabi. from moving services to complete design , interior and exterior furniture solutions. We are just a call away 12 hours a day and 6 days a week. Walk-­‐in to our office , located in the center of Abu Dhabi. Customer Support email response 24 hours. Social Media Reach ʹ Get in touch with us via facebook or twitter. an agent ,our website is available in English , Arabic and mobile. Dhabi Real Estate market only. and will provide you with a tailored service that makes all the difference. 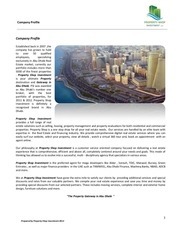 Approved &amp; preferred agent for major developers and financers in Abu Dhabi and UAE. 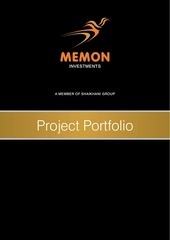 Team members live in Abu Dhabi and understands the market needs , trends, tips and updates. 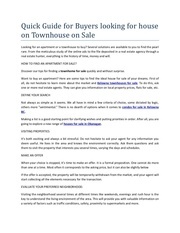 Advise and recommend the best property related to your your specific enquiries. Involved in various dimensions such as; investment zone, freehold and leasehold. Only real estate company in Abu Dhabi with the first TELE Sales Centre. 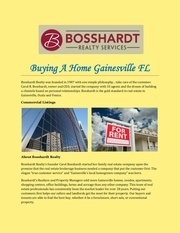 After selling services, if you want to lease or re-­‐sell your property. Approved &amp; preferred agent for major developers in Abu Dhabi and UAE. performance excellence and customer satisfaction policies. understand this fact and can happily help you without any charges just by listing your property with PSI. Leading Abu Dhabi Real Estate Market. Periodic updates with landlord on market and properly status. finance provider partners to suit your needs. opportunity returns while you enjoy a hassle free return of investment; whether you live in Abu Dhabi or abroad. handing over , evaluation, viewing and more. Why to sign exclusivity ? your property will be treated as a our priority. Listed in our website as hot property. Professional property description and online brochure. for your property and the community. CMA service that will include a Comparative Market Analysis. Ce fichier a été mis en ligne par un utilisateur du site. Identifiant unique du document: 00147401.